Some picture research had to be done and the first thing out of that was this image which made me sit up and stare. This was because I had not really understood side profile of the car; the article’s photos are so poor they might even be from the Archie Vicar archive. So, this image revealed things I had not seen properly before. 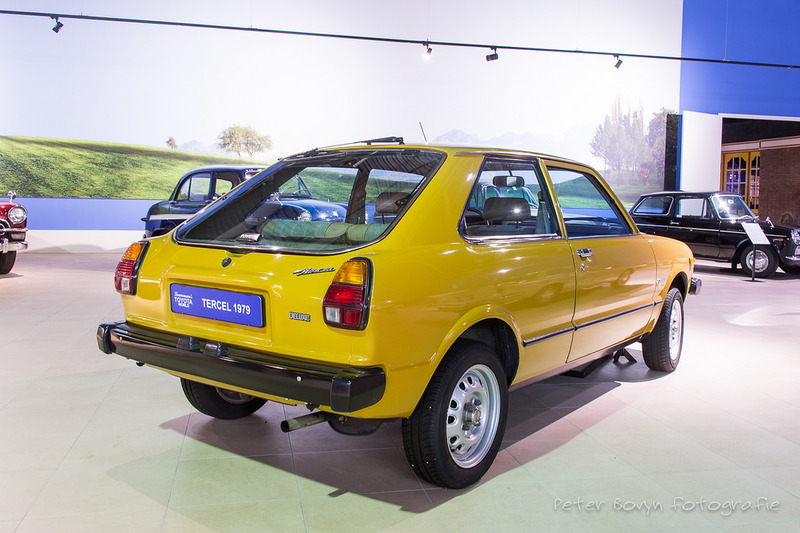 The side view must have been the elevation the Datsun designers focused on, since it reveals remarkable interest. The proportions are rather forceful: there is a long oblong underlying the lower body and a rather smaller one, set well back from the front axle, which underlies the upper body. It is on the verge of being dramatic, heading towards Jaguar territory, dare I say it. The one detail that unsettles is the way the d-pillar rests beyond the line of the back axle. It is the trailing edge of the DLO that rests over the axle line. That imbalance of the C-pillar might not be a mistake (which is something inadvertent) so much as a deliberate subversion of expectations, adding a degree of spice to an otherwise classically proportioned car. The effect is even stronger when you see the rearview. That is a very pleasing big rear windscreen, going the full width. The tail-lamps are far more successful than the front lamps. I think you are supposed to read them as one unit, framed by chrome edging. It doesn’t entirely succeed because there is visual noise from the small slivers of brightwork within the light units. And again, I am not that bothered by this. We turn now to the front and if this was a guided tour around a museum we’d be reminding the group that coffee and biscuits are available for purchase in the museum shop. Can we find anything? There’s a chamfer on the leading edge of the bonnet; a small bonnet mascot; the indicators protrude a bit and the grille itself is not a rectangle but is slightly wider a the top than the bottom which makes the car lean forward visually. Are there just too many slats on that grille? It’s almost like corduroy. The bumper could be from any number of similar cars; below the line of the lamps the designers were on autopilot. The secret to a front end-like that is not to look directly at it. You need what I have termed Japanese looking. Horizontal, horizontal, horizontal with subtle articulations for the top of the grill and those inclined lines next to the lamps. As we have said here before, Japanese design is home to remarkable subtlety and as I write that I am aware a car like this would have screamed transatlatlanticism or even America. So, find an American car that is really like this. I’ll have to return to the rest of the car at another time. Of more fundamental concern might be to do with the way this design dodges the failing of the Talbot Tagora. Despite the plain lines and strong parallelism, the 280C looks quite distinctive. Where’s the character hiding? The Tagora is similarly rectilinear and ends up as a generic kind of shape, very non-specific: all the tropes of the period and nothing of its own. I think it’s because the 280C has a bit of inflection, a few angles at key locations that it distinguishes itself. Lumpers and splitters: the world is divided into two classes of people. Some like to aggregate and generalise and some like to distinguish and parse. Actually, we do both and the real choice is do I lump or do I split? Today I am a splitter and while agreeing that the two cars are similar, they differ on the level I am interested in. It´s great you show this image. All of a sudden I can see how auster the Opel is and I am almost as a loss to express the “eye-feeling” I get from this car compared to the Datun. I don´t believe an Opel customer would have accepted the Datsun. Why, because they differ because of the sum of the details. 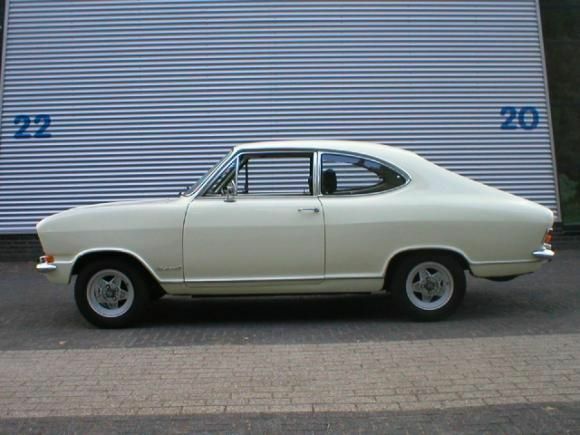 And, gosh, that Opel is handsome and crisp and austere. Good morning, Richard. A great analysis, thank you. I hadn’t noticed it before, but the C/D-pillar extending aft of the rear axle line is even more pronounced on the Senator, evident in Dave’s photo above. The effect is more pronounced because of the large rear quarter light. Does this make the tail of the car look slightly small and lacking in visual “weight” compared to the nose? I’m not sure. Visual weight: this terms appears now and again – I use it myself – without having any solid basis that I know of. I don´t think it´s a concept unmoored in reality. What I don´t know is how it operates. The Opel´s visual weight is ambiguous: which trapezoid does one read? You won´t hear me complain about this car, of course. It´s easily as neatly executed as a contemporary Audi. What the Ruesselsheim people made of the Detroit work at the time is anybody´s guess. Thank you Richard, it’s a really good article, it has lots of meat. Iam practising my ‘Japanese looking” and I will report back later maybe. 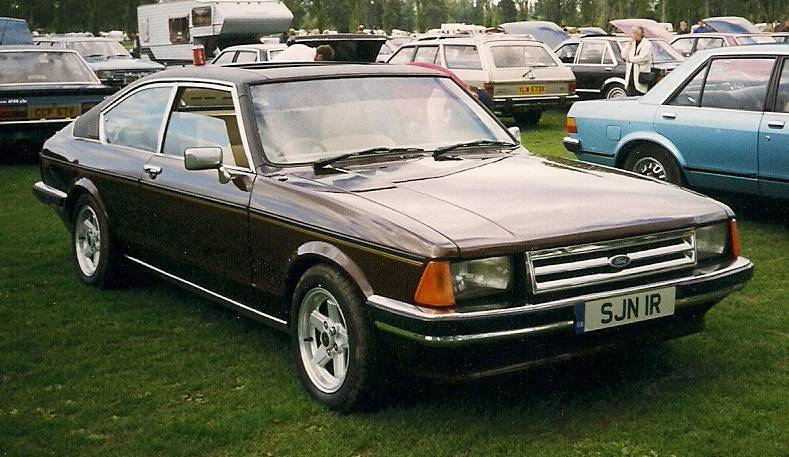 What highly unusual (possibly unique) and expensive design decision connects the Opel Kadett B and the Ford Granada Mk1? Could it possibly be the groove for the finger on the fuel filler cap ? Iam not sure how common or uncommon were these. How about black roofs ? 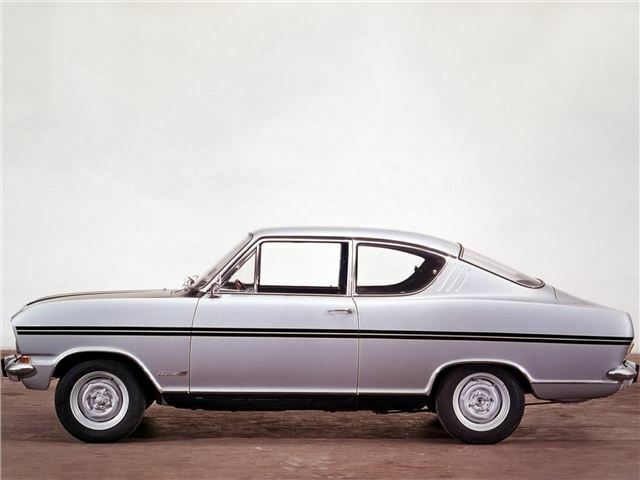 Which Opel Kadett B? There were a lot of body styles. Richard – That’s pretty much what I’ve just asked. A bit light on the praising last night btw, more praises needed on Aisle 4 Richard, I repeat, more praises on Aisle 4. Based off your clue to Richard, were there two distinct coupe versions? No, much more significant and fundamental in design terms. 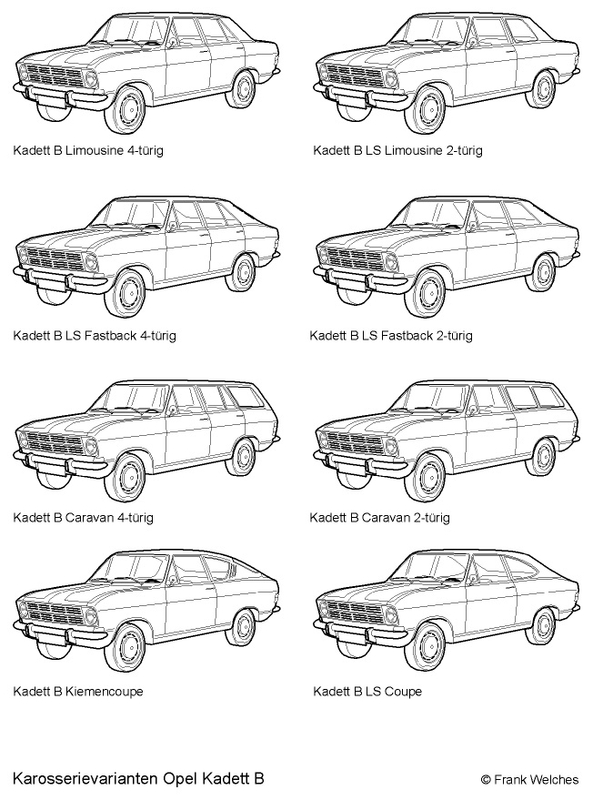 Does it concerns all variants of the Kadett B (2/4 doors, sedan, coupé, caravan) or just the main sedan ? It concerns specific variants, not the whole range. We are within our rights to ask which specific variant/s are involved in this. Myles Gorfe would know. Nobody knows where he is though. I second that Richard. How are we supposed to work with incomplete data ? This is almost fraudulent. Oh, come on guys! It’s not that hard, put some effort in! Does it have to do with anything related to the rear wing surfacing ? Got some chores to do, back later. I’m sure someone will get the right answer in the meantime. 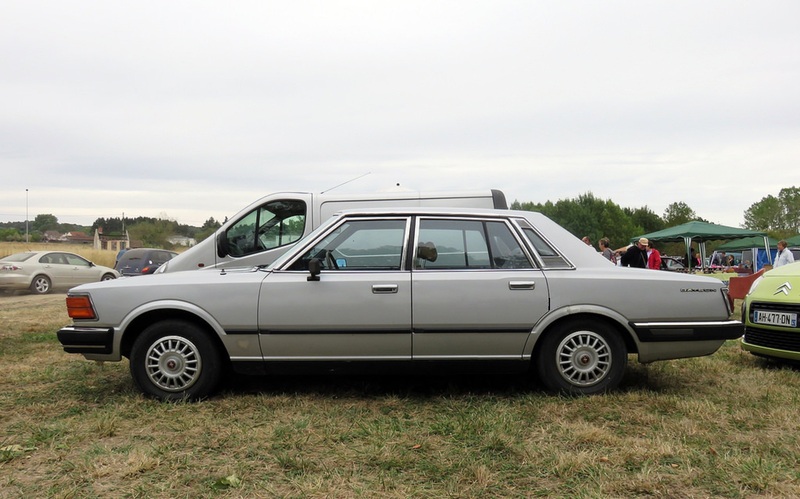 The coupes received major facelifts in the middle of the model runs. 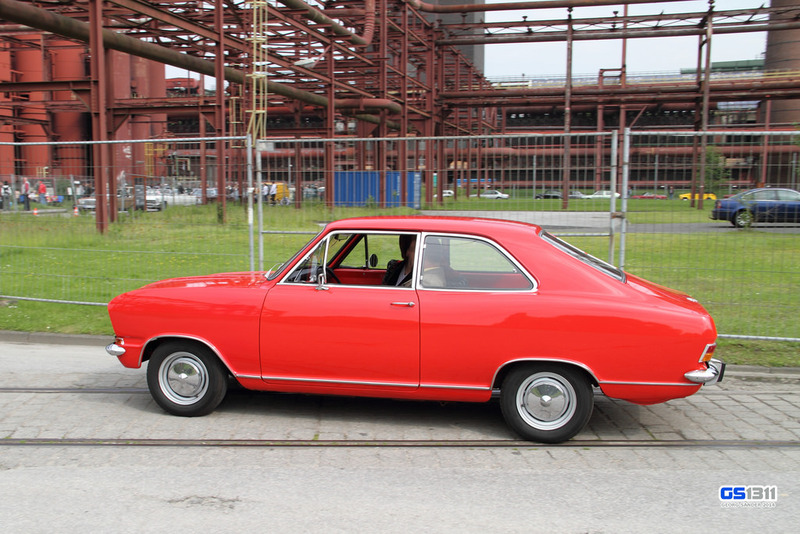 The Kadett lost its visible air extractors whereas the Granada gained them. Well done, Gooddog ! I was already surprised you could type on the keyboard with your little paws but now I’am truly impressed. …and Gooddog sneaks up on the rails to take the win! 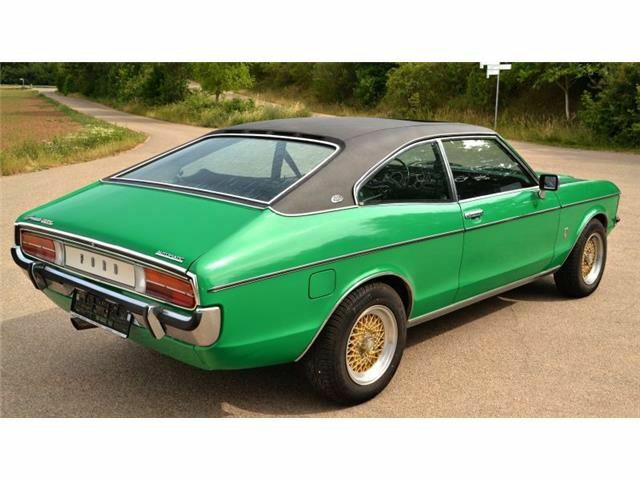 Actually, the Kadett B and Granada Mk1 coupés both received exactly the opposite of a facelift during their model run. The front and rear facias remained the same, but there was a major revision to the DLO, requiring a complete re-engineering of the body-in-white. From what I gather it looks like there were 2 main versions: one was ‘Fastback’, the other “Limousine” and each had its ‘coupé’ or 2-door version. I guess it’s a bit like both Vectra 4 and 5 doors having their own coupés instead of just the one Calibra ? Which looks pretty much like a coupé to me! I’ve no idea what prompted such a major change in the coupé version midway through its life. It’s a moot point as to which of the three versions above looks best. The Granada coupé story is more straightforward, and will follow in a moment. As I said, the reason for this was more straightforward. As I understand it, Ford decided shortly after approving the original coupé that the “coke bottle” waist was passé and lacking in elegance for their flagship car, hence the hasty and expensive redesign. The coke-bottle models are relatively rare compared with the revised model. 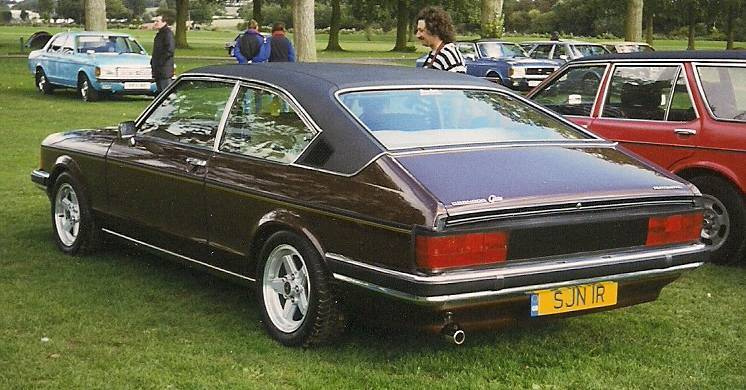 It’s a shame the coupé didn’t survive to become a Mk2 Granada, which was a heavy reskin of the Mk1 model. 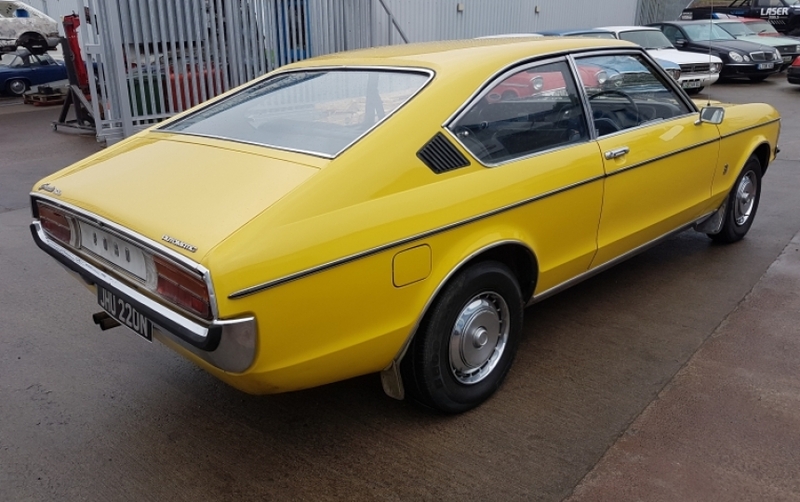 The Mk2 Granada front and rear ends would have suited the revised Mk1 coupé rather well and given Ford an Opel Monza competitor at relatively low cost. Well done, well done all of you and especially NRJ for this dogged pursuit of a solution. Nothing to do with Laurels, mind. Sheesh. Is the 1st Cedric on that page a Lancia ?? I paid you back…erm…. I graciously added a list of links to interesting stuff about Datsuns but it didn’t go through. Yes, well done NRJ for, er, not getting it right. Prizes for everyone! Sorry for hijacking your piece (again!) Richard. Wasn’t it about the 280C (Cedric) not the Laurel? I tried 5 times to post the Datsun links but the post never goes through, I just try with one link to see if it works. There’s something strange with the commenting. 2 of my messages seem to have disappeared. NRJ: I just found one in the spam folder. I have no idea how it got there. The other I deleted earlier since the link didn’t work. Thanks Eoin. They seemed to have gone through because they appeared on screen, even the comments count went down from 43 to 41 earlier. Since I posted that comment, I found another bunch of them in spam. There are more, but I’m not clear as to what might be duplicates. If there’s anything still missing, let me know and I’ll reinstate them. The 280C has some visual similarity to the Cedric; most intriguing is the nod to the 1980 car´s predecessor in the form of the very slight kink in the waist line. Plausible. I have to look at the original to see the difference. What isn´t happening is that my eye does not “buzz” which is happens when a detail is changed to unbalance a design. The design is not unbalanced by the wheel base extension. I like that wheelbase extension. Long wheelbases are always good, and this rear overhang on the original car is way too long for my taste! (Look at that mile-long black bumper!). With Richard’s shortened pillar it even becomes more noticeable.